1 and 1 Web Hosting emphasizes scalable performance and reliability to give their customers the best hosting experience money can buy. From small websites to media-heavy online storefronts, their multi-level hosting packages have got all kinds of hosting needs covered. The scalable performance runs across their Basic, Unlimited Plus and Unlimited Pro plans, which means, you can upgrade your hosting experience at any stage, anytime. If you wish to start small with a basic website, you can do so at a minimal expense of $0.99 a month. That’s cheaper than a burger. And the best part is, you will have to pay for the hosting services only; the domain name will be available for free for the first 12 months. However, you may have to pay a higher price at the end of the year’s term, but if your website managed to juice up your business all these months, that would be all worth it. And trust me, shelling out a few extra bucks won’t pinch you at all. Secure website and prompt support amount to peace of mind. With next level security and excellent service at the heart of what they do and offer, you will never experience any dull moment with 1 and 1 Web Hosting. Their high-performance hosting packages keep websites up and businesses running 24/7, all year round. Even if your website is running on their basic hosting plan, you will get an SSL certificate, 24/7 customer support assistance and all the privileges that a typical customer of 1 and 1 gets. 1 & 1 Web Hosting’s geo-redundant servers offer superior reliability and an impressive uptime to their users. Their servers are fully optimized for maximum performance with minimum overheads. The introduction of the leading-edge 1and1 Cloud Server makes load balancing a breeze and 55-second deployment a reality. 1 & 1 Web Hosting takes pride in its remarkable uptime of 99.99% which is well above the industry’s standards. This average uptime is recorded over the period of 6 months, but on best days, it touches the magical figure of 100% as well. This is to say that your website will be up and running for most of the time. One of the most important methods to judge the performance of a hosting service, webpage speed test can be carried out using a simple online tool, like we did. We ran one of the dummy websites hosted on 1 & 1 through a website speed tester, and here are the results. It turns out that a website hosted on 1 & 1 Web Hosting loads faster than many hosting providers in the same price segment, which gives 1 & 1 Web Hosting an edge over its competitors in terms of performance to price ratio. 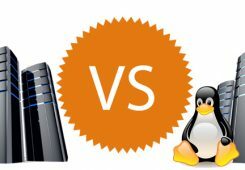 When it comes to server response time, 1 & 1 Web Hosting fares well on expectations of many users. Even if yours is a resource-heavy website, with lots of images, embedded videos and product listings, 1 & 1 Web Hosting has got your back with an outstanding server response time. Don’t just take our word for it, have a look at the results yourself. 1 & 1 Web Hosting has geo-redundant data centers, which means your website will be up and running in the face of a catastrophe. And with a choice of 7 data centers, you can choose the one closer to your audience for higher webpage speed. Their datacenters are equipped with state-of-the-art hardware to process your data faster and give you a better-performing website. 1 & 1 Web Hosting is driven by advanced technology and various security options to give users a robust hosting service like no other. Their integrated security features provide an unswerving protection against DDoS threats, alongside SiteLock malware scanning to keep any potential threat at bay. Following are some more features that come as standard with your 1 & 1 hosting package for added security. 1 & 1 Web Hosting offers fast access to your website visitors away from your server location as to the ones in the proximity. With built-in Cloudfare CDN, your website’s content will be cached in various Points of Presence to reduce server response time and deliver content to your visitors as if they were located in the close vicinity. CDN bridges the gap between your server and distant users and is also beneficial from the security point of view. 1 & 1 Web Hosting provides Hotlink protection so that no one can link to media content to your website and steal your bandwidth. This is one of the essential security features in today’s fast forward digital world. 1 & 1 Web Hosting offers a choice of SSL certificates to meet your needs precisely and give you the most robust security against data breach, as well as establish a secure connection between the server and the browser. 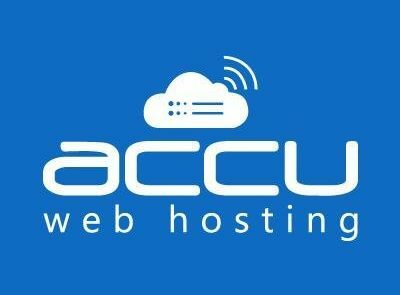 1 & 1 Web Hosting allows you to log on to any remote computer and execute commands from your PC. It’s a wonderful feature for users who want to control their machines at a distant location remotely. SSH access offered by 1 & 1 Web Hosting ensures fully encrypted access to remote computers. 1 & 1 Web Hosting adds an extra layer of security to your account log-in process, making it a two-factor authentication instead of the customary one-step log-in; thereby, ensuring better security. You can configure two-factor authentication in a few simple steps from your cPanel. Once the two-factor authentication is configured, you will have a peace of mind that your account is protected against unauthorized access. Load test is a sureshot way to determine how much traffic your website can handle for a given time period without showing considerable dip in the performance. For instance, we ran a load test by sending 100 virtual users to one of our websites hosted on 1 & 1 Web Hosting. As you can see in the results below, the sudden increase in traffic was accommodated pretty well for the given time period. 1 & 1 Web Hosting offers various feature-packed hosting plans that suffice websites of all sizes and types. The company is widely appreciated for providing free domain, an easy to use site builder and SEO tools to build and launch a website with a difference. With one comprehensive package, 1 & 1 Web Hosting makes sure you have everything you need to build a strong online presence from scratch. 1 & 1 Web Hosting offers all the resources and support to help users build a website from the ground up. Since it caters to beginners with little to no experience, there’s no going around making the process user-friendly. If you are starting out with 1 & 1 Web Hosting, you will have all the capabilities condensed into a user-friendly package. In an event of a catastrophe, 1 & 1 Web Hosting’s outstanding webspace recovery feature has got you covered. With their 6-day worth of backup and flexible restore points, not only will your data remain safe, but you can also restore files individually and discard the ones that are no longer needed. 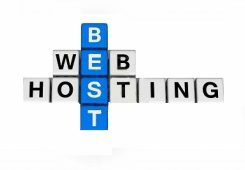 Customers with unique hosting needs will be spoilt for choice by 1 & 1 Web Hosting. Whether your website has just been launched or is in the growing phase, 1 & 1 Web Hosting provides suitable hosting plans to meet your current needs, with ample room to accommodate your future needs as well. Your options range from shared to VPS to Dedicated and WordPress hosting. Regardless of your existing hosting plan, you can upgrade to an advanced plan basis your storage and bandwidth requirements, anytime you want. The upgrade will be carried at zero additional cost, with negligible downtime. A little extra is always appreciated, especially when it offers an enhance site building experience. 1 & 1 Web Hosting offers various click-and-build apps that help you craft a truly customized web presence that you would proudly call your own. With an array of hosting essentials, 1 & 1 Web Hosting gets you going without a hitch. With 1 & 1 Web Hosting, it’s as easy to create a customized online store as it is to build a blog or website. You can create thousands of product listings using 1 & 1 Web Hosting’s eCommerce site builder that pulls out all the stops from the process. Further, with a choice responsive themes, your online store will be unique to your business and universally compatible with desktops, tablets and mobile phones. When you move your website to a new address(read: host), the convenience charges levied by the destination host falls under migration policy. Migrating your website can be a cumbersome task, but 1 & 1 Web Hosting lets you do that in a few simple steps and free of cost. Post migration, your website will remain as is in terms of design, but your account will now be accessed via new host. Upgrading to an advanced hosting plan within 1 & 1 Web Hosting’s eco system is fairly easy and quick. You can do this in a few simple steps without effecting any change in the design and functionality. However, with increased bandwidth, storage and other features, your website will be faster, more reliable and capable of handling higher traffic throughput. Whether or not to apply any front-end changes is entirely up to you. Apart from that, 1 & 1 Web Hosting constantly makes improvements within their infrastructure. Since this is done by the company itself, you do not have to lift a finger or pay anything for these improvements. 1 & 1 Web Hosting offers all things unlimited, on their basic as well as advanced plans, which means you can take full advantage of unlimited storage, email accounts, domains, site traffic and databases from day one. Having unlimited everything pulls out all the hurdles from your hosting experience, and you can go on to grow your website without having to worry about outgrowing your existing plan. SSD Storage is one of the vital components in the hosting hardware that determine overall performance of the website. 1 & 1 Web Hosting understands the significance of SSD Storage and thus throws in SSDs as standard across all hosting plans, which means you can enjoy fast load times and 11x compression ratio. With SSD storage, your hosting plan might get a bit expensive, but compared to performance boost, the price difference is nominal. 1 & 1 Web Hosting supports NGINX and allows you to configure your domain settings via this high-performance, open-source web server. 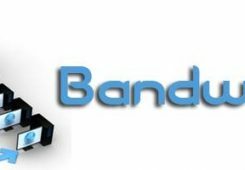 You can also use this amazing tool as a load balancer and proxy server. Further, you can get the next-level speed with HTTP/2 instantly. The accurate measure of a company’s ethics is how they treat their customers. 1 & 1 Web Hosting provides round-the-clock customer support via phone, live chat, email tickets and an extensive knowledge-base wherein you enter a search query and get relevant information and FAQs instantly. The extensive knowledge-base of tutorials, guides and FAQs are available free of cost to customers and visitors alike. The company has been updating their knowledge-base for over a decade, which means you will find every information about the technology of then and today. Live chat support is easy and responsive. After a warm greeting, the customer care executive gets straight to answering your queries in less than a minute. The response time may increase or decrease depending on at what time you are trying to reach them. Their live chat support is an utter bliss if you are looking for instant answers to your hosting-related questions. After live support, their phone support comes a close second with 24/7 assistance and an extended waiting time, but once your call is picked up, all your queries and concerns will be responded to in a professional, satisfactory manner. Don’t want to use up your minutes? You may leave your phone number for a callback right away. 1 & 1 email ticketing system is as efficient as it can get. It takes a bit more of patience to send your concerns over an email, but it’s all worth the prompt response. Have an issue? Generate a ticket on the go and have your query resolved within the next 24 hours. Any hosting-related issue you may be facing, it’s possible that someone else had already gone through something similar, and the best part is that the help is just a few clicks away. 1 & 1 Web Hosting has a huge community of users who are happy to help you through their past experiences and relevant knowledge of the matter. 1 & 1 Web Hosting’s billing practice is fair and delightful. If you don’t like their services and cancel the subscription within the first 30 days of sign-up, get a full refund without any question asked. Even after 30 days, account cancellation is not an issue. If you are leaving after a year, right before the renewal is due, you are free to go – no strings attached. Of all great things that this hosting provider offers, price is one of the biggest pulling factors. With a full-fledged website hosting starting at less than a dollar, 1 & 1 Web Hosting is hard to beat at this price point. The company does not offer a free trial, but they do offer a 30-day money back guarantee, which means your money is safe in one way or the other. As compared to their introductory prices, the company might take you by surprise with their renewal rates, but that’s something which has become customary in the hosting industry. None of their up-sells are unreasonable or an option sold as mandatory or vice-versa. If you want to enhance your hosting experience, go with their additional products and services; if not, they won’t choke it down your throat. 1 and 1 hosting offers 30-day money back guarantee with no questions asked. 30 days is plenty of time to understand the service through and through and make a decision whether to hang in or move on. If you are satisfied with their services and don’t know any better host, stick around. 1 & 1 reviews by users attest to company’s nice and affordable plans with great features to boot. The company offers three plans, and each of them are scalable with ample room for add-ons plug-ins and other essential upgrades. Let’s have a look at each of them and understand various features that come along. 1 & 1’s Basic hosting plan offers everything that you need to get your website off the ground and make your presence felt in the crowded online marketplace. With a free domain for the first year, 100GB storage, and 500 email accounts, there’s so much you can get for under one dollar per month. Despite the low pricing, there will be hardly any compromise on the service quality and security of your website. The SSL Certificate comes as standard with the Basic plan, which is one of the major pull-factors apart from the price point. As a user of Basic plan, you will have 24/7 customer support and live chat that’s highly responsive at all hours of the clock. The Unlimited Plus plan is the recommended one with value-for-money features and better functionality for your website. You can have all things unlimited with the Unlimited Plus plan, which is necessary for websites in their growing stage. You can host unlimited websites and take advantage of unlimited storage to run your website without any worry in the back of your mind. With this hosting plan, running out of space, bandwidth or email accounts sounds so last year. 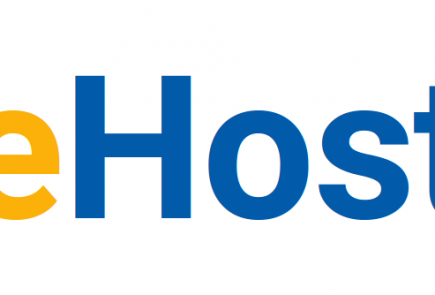 Have a look at some of the main features of this best-selling hosting plan of 1 & 1 Web Hosting. Enjoy the next-level speed and ultimate hosting experience with this top-flight hosting plan that offers all things unlimited and much more to give your website the essential boost and stability. The Unlimited Pro is ideal for media-heavy websites that require unlimited resources to ensure smooth functionality. Also, it has CDN for websites operating from a single datacenters to give distant users the same fast browsing experience as the local ones. 1 and 1 Web Hosting plays host to thousands of websites across the globe and also enables beginners to start their journey with a full-fledged online presence without having to write even a single line of code. With its MyWebsite package, it’s easier to build a website by using simple drag and drop tools and choosing from a wide range of customized themes to give your website a personal touch – your business is unique and so it deserves a unique face in the online world. 1 and 1 Web Hosting takes care of everything for you from start to finish. Other than that, 1 and 1 Web Hosting ushers you into the online world by backing your website up with website marketing, local marketing and email marketing software. With this, you can take full control of your online marketing campaigns, regardless the kind of website you have or the industry you are part of. If you want to supplement your organic marketing campaign with occasional paid marketing, 1 and 1 Web Hosting has simple and straightforward provisions for you. It lets you run ads across the leading search engines and reap benefits of this feature to drive more visitors to your website. After all this, you would want to know how your website is performing in the virtual world. This is where 1 and 1 Web Hosting gives you useful insights like no other. With 1&1 rankingCoach, you can get a detailed analysis of your website by simply entering the URL. The best part is it’s free of cost, whether you’re a customer or not. The hosting services of 1 and 1 Web Hosting are worth their salt. They guarantee satisfactory performance or you’re free to cancel the subscription anytime. The company won’t lock you in lengthy contracts, and users canceling their accounts within the first 30 days will get a full refund. 1 and 1 Web Hosting keeps on improving their services by investing more and more in their infrastructure and hiring industry’s best talents. If you are a beginner who knows nothing about website development but wants to build one, 1 and 1 Web Hosting is truly a 1-stop destination for you. All you need to do is sign up with them to get a domain name, hosting service and an easy-to-use Website Builder tool to create a nearly customised website. Q1: Does 1 and 1 offer Windows hosting? Ans: Yes. 1 and 1 Web Hosting provides specifically designed hosting for Windows developers, with three different plans to choose from. Q2: Does 1 and 1 Web Hosting offer unlimited bandwidth and disk space on shared hosting? Ans: There’s no unlimited disk space. You start with 50GB of disk space and it increases by 20GB per/day as needed at zero additional cost—the inode limit is 262,000 files. On the other hand, the traffic is unlimited. Q3: Is there any any Site Transfer fee when switching over to 1 and 1 Web Hosting? No, you will have to pay only for the hosting and for any domains that are registered with 1&1—those would be the only charges unless you order additional products or features. Q4: Does 1 and 1 Web Hosting offer an SSL certificate? Ans: You get 1 free SSL with any of their hosting plans. Any additional SSL that you may require will incur an annual charge. Q5: Can I host my Magento website on 1 and 1 Web Hosting? Q6: Does 1 and 1 Web Hosting take back up automatically? Ans. Yes, 1 and 1 Web Hosting takes backup of everything once a day for disaster recovery purposes and those backups are held for 6 days. Q7: How many email addresses do I get with 1 and 1 Web Hosting? Ans: 1 and 1 Web Hosting offers 500 email addresses with basic hosting plan, and as you upgrade, you get unlimited email accounts. Q8: Will I get CDN with 1 and 1 Web Hosting plans? Ans: 1 and 1 Web Hosting offers CDN with the pro package. Q9: Does 1 and 1 Web Hosting’s offer Money-back guarantee on all packages? Ans: 1 and 1 Web Hosting offers 30-day money-back guarantee if you cancel your subscription with first 30 days – no questions asked. 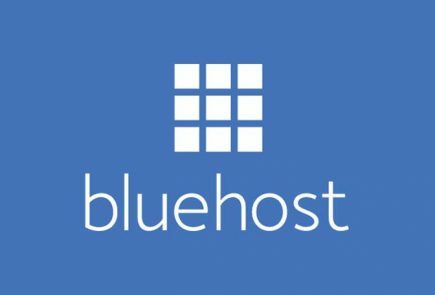 Q10: Can I have a reseller hosting plan with 1 and 1 Web Hosting? Ans: 1 and 1 Web Hosting does not offer reseller contract. Q11: How many programming languages are supported by 1 and 1 Web Hosting? And: 1 and 1 Web Hosting supports a full suite of programming languages: WordPress, Joomla, Magento and 30 other applications are included. Q12: How can I contact 1 and 1 Web Hosting Support? Ans: 1 and 1 Web Hosting’s 24/7 tech support is available via live chat, phone and email tickets. Their live chat is available for non-customers as well. So if you have any query before taking the plan, they are happy to assist you. 99.99% Uptime Guarantee : 1 and 1 Web Hosting is one of the few hosting providers that manage to maintain a staggering Uptime of 99.99%. This speaks volumes about their reliability and high-performance hosting plans, which make up their bottomline. DDoS protection : Your website will be protected against DDoS attacks so that your visitors never face any problem accessing your website. SiteLock malware scanning : Your website will be scanned for malware on a regular basis to minimise vulnerabilities and eliminate any potential damage to your data and web presence. Webspace Recovery : It's human to delete data unintentionally, and 1 and 1 Web Hosting understands that; thus, providing webspace recovery support to help restore your files and scripts. 24/7 Customer Support : There are some website-related issues that can't wait and need to be fixed at the earliest. Hence, 24/7 customer support. 1 and 1 Web Hosting keeps on improving their services by investing more and more in their infrastructure and hiring industry's best talents. If you are a beginner who knows nothing about website development but wants to build one, 1 and 1 Web Hosting is truly a 1-stop destination for you. All you need to do is sign up with them to get a domain name, hosting service and an easy-to-use Website Builder tool to create a nearly customised website.